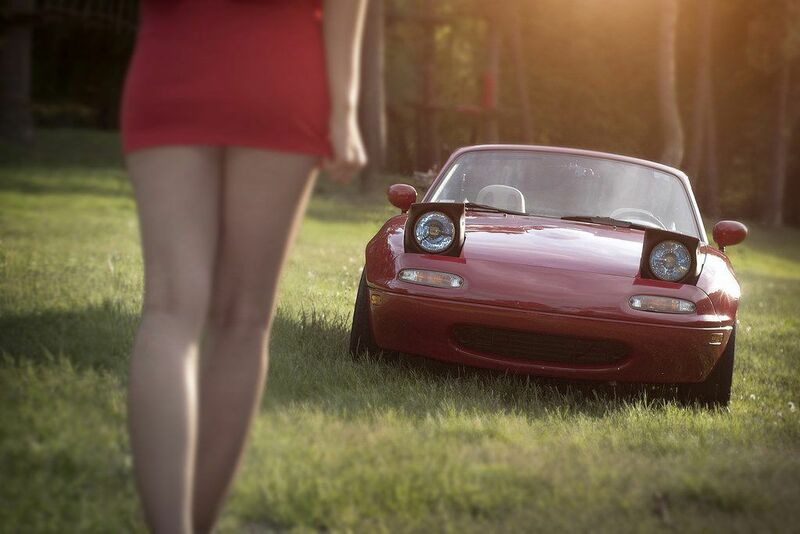 My 1994 Mazda Miata has suffered over the years with a very poor headlight setup. It got to the point where I just did not enjoy driving it at night anymore. The pathetic yellow light dripped from the front of the car, providing limited visibility, even in urban driving. Rural driving, out where I live, was just down right scary. So, I finally decided to do something about it. I ultimately decided to upgrade my sealed beams for a set of Cibie eCode projectors fitted with H4 100/80W bulbs. When upping the watts and amperage from stock values to these floodlights, it is important to add an aftermarket lighting relay. Your factory wiring harness and light switch will thank you, 20 year old thin wire usually does not like having 10+A flowing through it on a regular basis. First step, buy a quality relay harness that will work with your Miata. The picture below shows the unit I went with. Installation took all of about an hour. 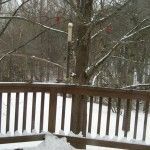 I suggest connecting the power to the main fuse panel via the main breaker bolt. Also, wire it in with your stock lights first to test operation before upgrading to the H4’s. Changing one thing at a time helps with troubleshooting if you run into any issues. The next step is to replace your sealed beams with the Cibie eCodes. These are European styled projectors that will amaze you with how much better they project light down the road. The light is focused, yet is aimed so as not to dazzle oncoming traffic. 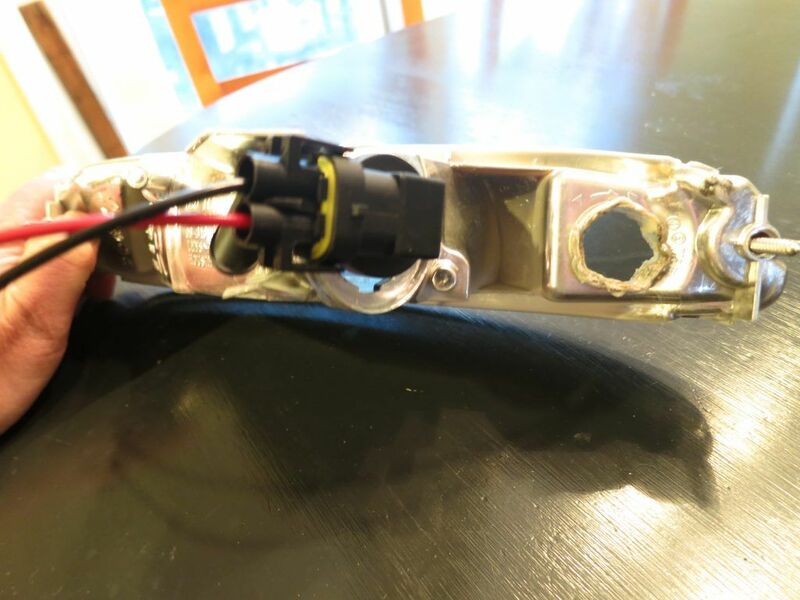 Swapping out the projectors just involve popping your headlights, removing the plastic shroud around the pop-up, and then loosen the three screws around the silver retaining benzel. Lastly, we get to the Hella H4 100/80W bulbs. Most folks will stick with the more standard 60/55W bulbs, however I highly recommend upgrading to a higher wattage. The difference in output is just stunning, and when combined with the Cibie eCodes, you will not blind other drivers. There are other wattage H4’s such as a 130/90, 130/100, and 100/90. As long as you have upgraded your wiring with a relay harness, it is safe to give these bulbs a try. However, it has been reported that the high wattage bulbs have very short lifetimes, sometimes only hundreds of hours before they fail. Also, care must be taken when installing an H4 to get NO fingerprints on the bulb. The oil from your hands will cause early failure as well. If you shop around (click on pictures to see on Amazon), you can pick up all the parts you need for less than $150. And, future replacement bulbs can be picked up for less than $10 each. 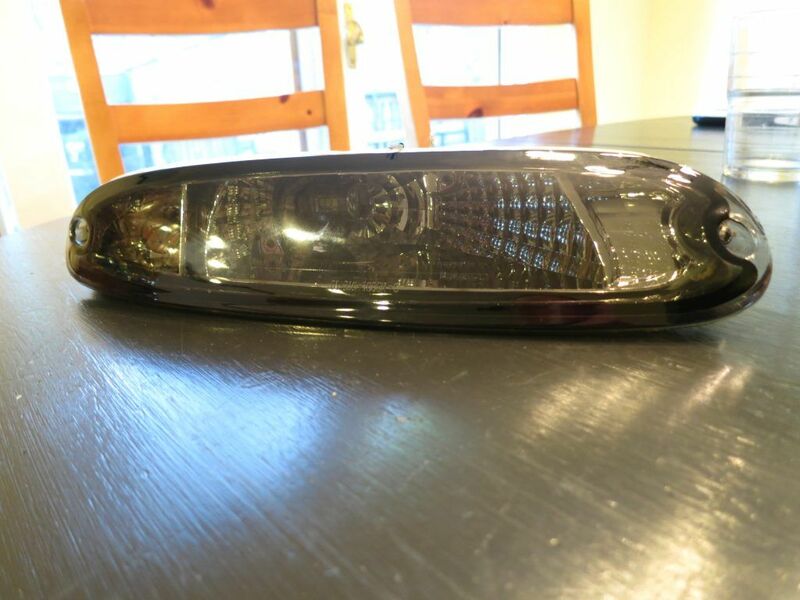 Don’t put it off, click on the pictures above, go to Amazon, and be amazed at how awesome a new headlight setup will enhance your night time driving! Leave a message to let us know how it goes for you. 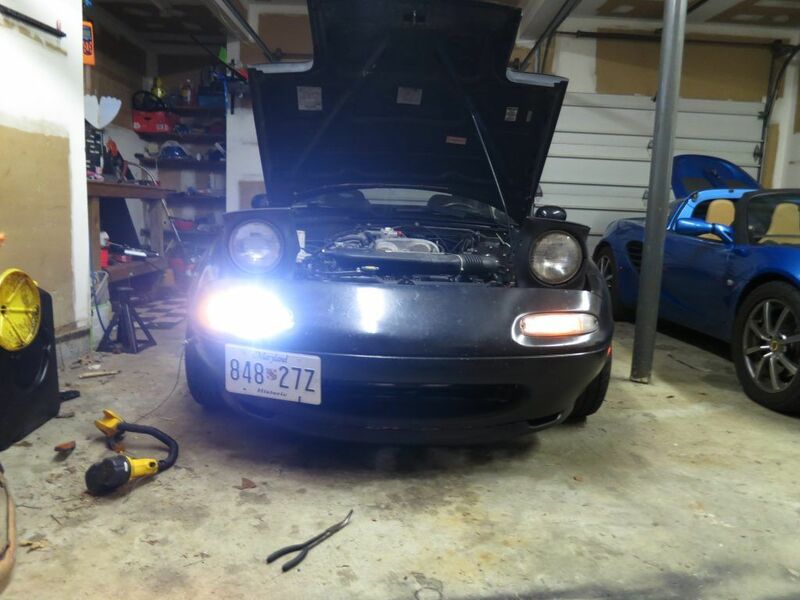 How to add DRL and LED to your Miata NA. As I have been daily driving my 1994 Miata NA for the last year or so, I have been more cognisant of trying to make the little Miata more visible. We also have a lot of divided highways out this way that require headlights to be on, and the police enforce it. I hate raising the barn doors, and if I just turn on my parking lights, they don’t really do much, and I always forget that I left them on. So, I decided to get a couple of smoked replacement lights ($50 on Amazon for a pair), and modify them. I opened up the unused half of the light and used a LED for the parking and turn signal, and used the main bay with a H11 LED. If you follow along, I will show you what you need to do to make this work. In addition, you can easily wire in a relay to make your parking lights come on whenever the car is running. First get some of these nice smoked turn signal assemblies. Then buy a set of 3157 parking and turn signal bulbs, I like these, and get this pigtail harness. I also used H11 LED bulbs as the main DRL, I got these, and also the pigtails. What we are going to do is open up the normally closed section on the parking light assembly. I used a soldering iron to melt it out. Once you get a good fit, a glob of silicone sealant will hold them in place and seal the opening from moisture. You will now need to wire the lights up. This will vary by pigtail, lights, and assembly, but in general you will want to wire red to red and black to black. The blue for the turn signal light will connect with the turn signal light coming from your original parking light wiring. This is all pretty simple, leave a message if you have any issues. As you can see, it worked out pretty well. I wired in a relay that turns them on whenever the the car is in Run, instant DRL. I also wired the side markers to flash with the turn signals. One of the more annoying aspects of my 1994 Mazda Miata was the center console armrest’s hard plastic cover. Whenever my elbow touched that cover, it just plain hurt. So, I decided to fix the problem. I bought some supplies from Amazon, and got started. The first item on the shipping list was a package of NU-Foam. This poly-fil is really great, it is compressive, however even when compressed down, it still has a lot of give. Perfect for providing a firm arm support that still has cushion. 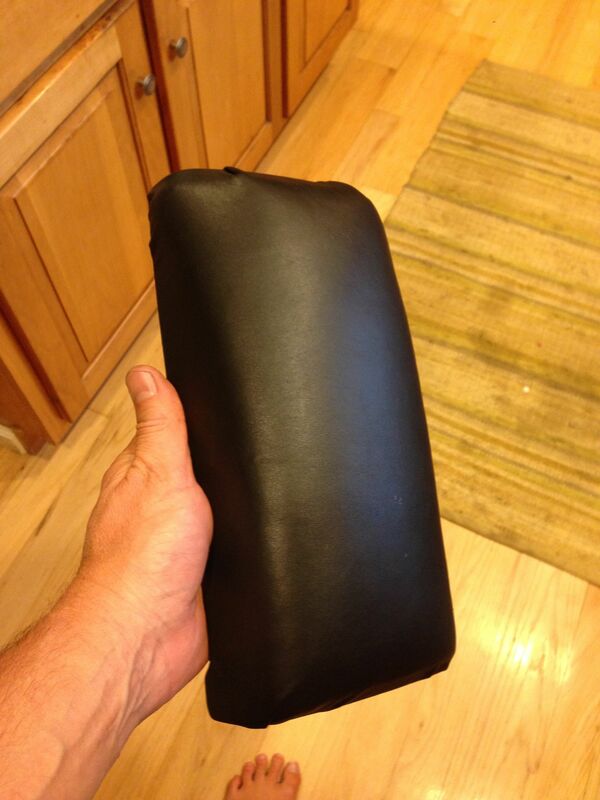 The other product was a sheet of genuine leather, plenty to cover the arm rest. The piece I bought was 1 foot by 2 foot. We will attach the leather to the plastic cover using a staple gun. Make sure you have a good quality staple gun and staples. I don’t think size is very critical, however the gun needs to be strong enough to pierce the plastic. I suggest practicing with a few staples before you try and attach the leather. The installation process is actually super simple. First remove your console cover, it comes off with a couple of phillips head screws. After removing, clean it up and test fit your material. Cut a piece of foam to fit the top of the lid. Don’t skimp, it is easier to start with too much and trim it back if you get too much. Now is the only tricky part, cut the leather to overlap the top of the cover. Starting at one side, firmly staple the entire side. Then carefully stretch the leather across and fasten the other side. My suggestion is to stretch tight enough that the top of the cover is firm, however still has noticeable give, this is what will make it comfortable for your elbow to rest on. The final two sides will be a little more challenging. You have to stretch and tuck the leather so that you do not have any large creases on the top of the armrest. Don’t be surprised if you have to pull some staples and reposition, just be patient and take your time. When you are done, it should look like the picture below. Now, go and enjoy your new arm rest! After 140K miles,both of my Miata’s rubber shifter boots were rotten and ripped. 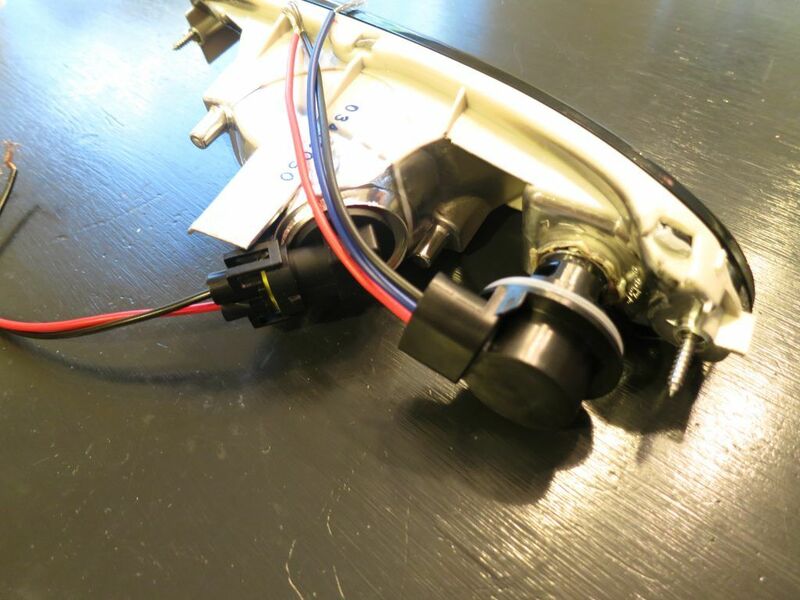 I decided while I was replacing them, I would also perform a full shifter turret rebuild. There are many guides that document how to perform the actual rebuild, however there seems to be confusion on what parts are required. I replaced all bushings, this consists of two bushing shells, the half-moon side bushing, and the tip of shifter bushing. In addition, I replaced both wavy washers, and both rubber boots. I used the NC style inner boot and it fit perfectly. 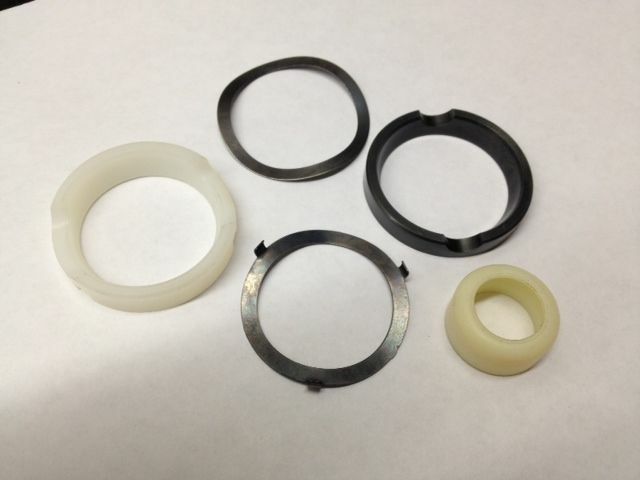 Some of the guides show a shim washer that can also be replaced. My car contained neither shims, and I did not add them. After rebuild, the shift feel was noticeably better, less slop and more feel. 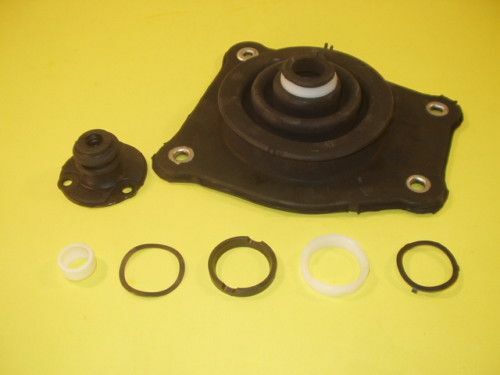 This is a cheap, easy and well worth project on any Miata with a couple miles and years on it.